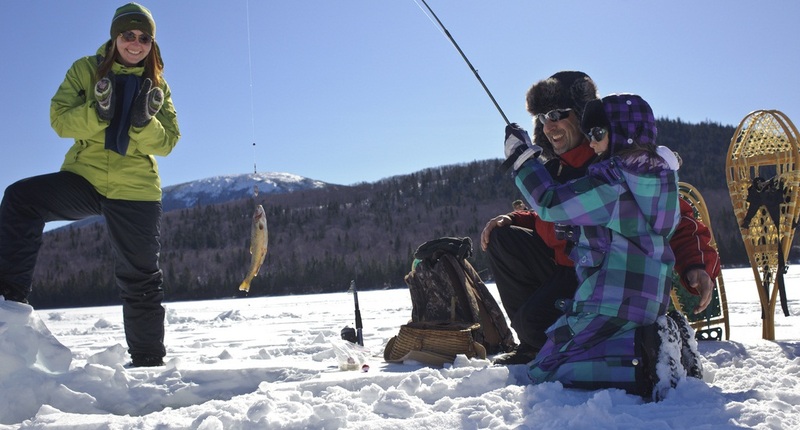 Ice fishing can be an enjoyable and rewarding activity. But like most things in life, it takes experience and expertise to properly enjoy. If you don’t have this knowledge, you can be met with frustration and even danger. 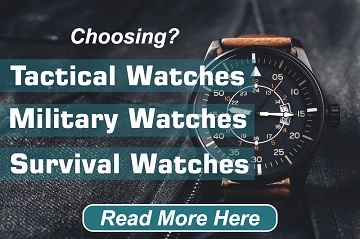 Take a look at the following article to stay safe and step up your game. A good item to start with is a bucket. This can double as both an easy way to carry your equipment as well as a comfortable seat to fish from. In addition to winter clothing, consider purchasing a pair of well-made boots that will both keep your feet warm and protected on cold and rough terrain. They must also have good grip to keep you stable and balanced on slippery ice. To help out with gripping the ice, ice cleats are also recommended. An ice chisel and scoop to cut and clear a hole in the ice are helpful as well as an ice safety pick, which you should keep in your jacket or vest in case of emergency. 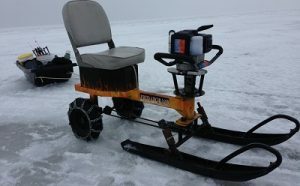 These are crucial pieces of equipment for ice fishing. Check online to research what you need to purchase based on what you are trying to specifically catch. This will include but will not be limited to your rod, as well as line, hooks, lures, tip-up, leaders, etc. These items will help you increase your productivity on the ice. 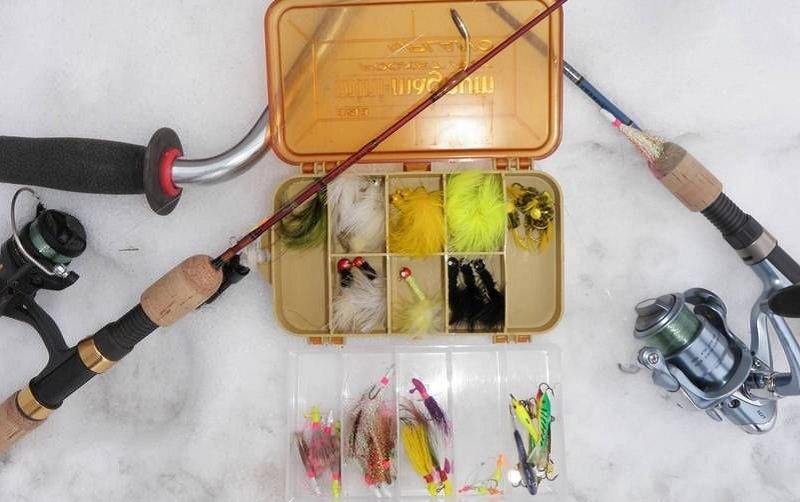 Fishing in the ice requires some different tips and tactics than you would use in the summer months. To take your ice fishing to the next level, make sure to take this advice and apply it on your next fishing trip. 1. Start Early – As mentioned in the previous section, start out as early as possible. The early bird gets the worm and the first fisherman gets the fish. 2. Be Wary of Depth – Fish often need to maintain a specific body temperature and therefore stay at a certain depth in the water. To know the specific depth of the fish you are seeking, either ask your local experts or look online. 3. Shhhhh! – Don’t make any more noise than you have to. Obviously, to break a hole in the ice and set yourself up, you will have to make some noise. But, the quieter you can be, the less likely you will scare the fish away. 4. Slow and Steady – Do not move too quickly. Just like us in the winter months, fish are less likely to expend effort, preferring to conserve as much energy as possible. Keep your bait steady and you will have a better chance of attracting fish. 5. Don’t Go Solo – Take a friend or two. This has two advantages. First, it is much safer. (see following section) Second, if you find one fish in an area, you are more likely to find more. Therefore, it is easier to cover a wide range of locations with multiple people. Once one of you finds a fish, get close together, even next to each other (make sure to stay at least 6 feet away to minimize chances of falling through the ice) to catch more. 2. Focus on the Bases of Drop-offs and Depressions – In colder weather, fish are more active in deeper water. Many fish also accumulate near the base of drop-offs near gathered sediment because of a higher likelihood for insect spawning. Therefore, if you find a drop-off with your depth finder, take special care to look for fish in these areas. Small holes or depressions in the body of water’s floor are often warmer, contain food, and therefore attract fish. Also keep a close eye on these areas. 3. Vibrating Jig – When lowering a jig, practice vibrating your wrist quickly, but in a small motion. These vibrations, that Dave Genz calls “pounding” will also vibrate the jig. If you do this while slowly raising your rod up and down in a vertical motion, this will cause a motion in the jig attractive to fish. By doing this you are making the jig seem alive and increasing your chances of catching a variety of species. 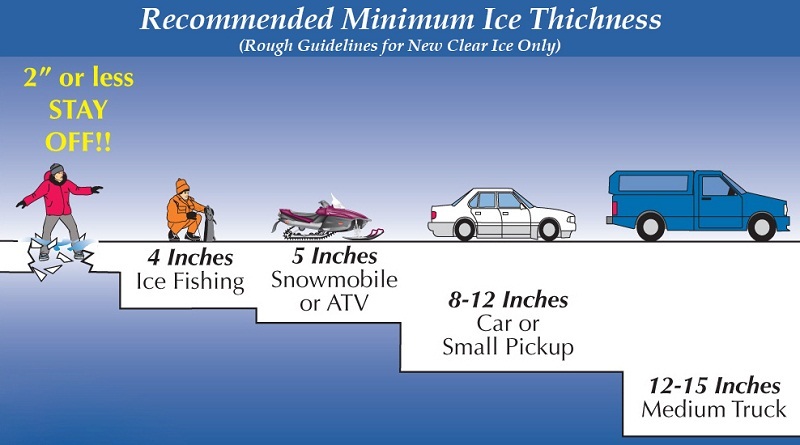 Safety is the most important aspect to consider with ice fishing. Unlike the warmer months, in the cold of winter, making even a small mistake can have very dangerous consequences when compounded with the affects of bitter cold. Bring a Friend – Take a friend. It is wise never to go out fishing alone, even in areas that you know well. If something happens, it is always good to have someone on hand to either help, or call someone who can. Communicate – Let someone else know where you are going and how long you plan on being gone. Therefore, if an accident occurs, authorities know where to find you and can often salvage a bad situation from becoming much worse. Bring an Ice Safety Pick – Just in case you fall through the ice, a safety pick can help you get a grip on the slippery ice and avoid drowning or hypothermia. If you or your friend fall through the ice, make sure to get them into a heated area and into dry clothes as soon as possible. Check with Local Authorities – Local authorities can often tell you which areas are safe to fish in and which areas you should avoid. They will also be able to tell you what to do in case of an emergency and which authorities to contact for help. Don’t let the ice this winter keep you from catching as many fish then as you do in the summer. But be sure to take these tips with you the next time you go out on the ice. They will make for a much easier time with many more fish to show for your trouble. Thanks for pointing out how people should make sure to get better winter gear especially when they are looking to fish in the morning when it is much colder. My dad really loves to do some ice-fishing with my children since he gets to bond with them for a longer period of time. I will be sure to advise them to get more layers of clothing when they plan to fish in the earlier time of the morning.